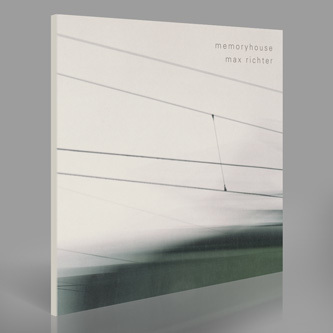 Memoryhouse has been long overdue a reissue. 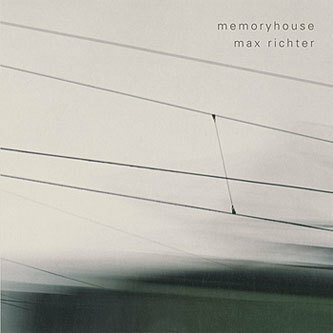 It was Max Richter's very first album, recorded with the BBC Philharmonic Orchestra in Manchester during 2002. Here you can trace back all the main threads in Richter's work, whether that be his almost unprecedented ability to emote via stark and dependably accessible string arrangements, or the introduction of electronic production to modern classical composition (as put to good use here on the exceedingly lovely 'Untitled (Figures)'). In fact, the level of creative diversity throughout this album is enormously impressive, and as the tracklist unravels you get the feeling that this is the work of a composer who's trying to cram every ounce of his musical knowledge into this debut, as if creating an hour-long showreel for his talents. In addition to the neo-romantic tendencies he's become known for, you can hear works strewn across this album that hint at field recording-driven electroacoustic dabblings, spoken-word accompaniment (something expanded upon for the Tilda Swinton-read passages on The Blue Notebooks) and 17th century-style baroque chamber music - in fact, all of these elements come together for the excellent 'Garden (1973)/Interior', which unites a John Cage vocal recording with drone sequences and beautiful harpsichord arpeggios. Memoryhouse's cinematic attributes are laid plain on pieces such as	'Last Days' and 'The Twins (Prague)' but to think of Richter's compositions as soundtrack-ready entities would be doing them a disservice. The likes of 'Lines On A Page (100 Violins)' and 'Maria The Poet (1913)' are in a sense standalone acousmatic productions with their own internal sense of location, drama and narrative, but more than that, the combination of field recordings (Memoryhouse is laced with snatches of rainfall) vocals (both sung and spoken), discreet digital programming/processing and exquisite orchestration gives the effect of an abstract radio play. If there's ever any real criticism to be levelled at Richter, it's surely that he devotes so much of his creative energies toward broad, dramatic gestures and big chord sequences. The Blue Notebooks' 'On The Nature Of Daylight' remains the quintessential example of this; it's still possibly Richter's most excessive and most brilliant work to date, taking his string ensemble arrangements to almost gratuitous, pornographic levels of lusciousness. It's emo-classical. On Memoryhouse this attribute is less pronounced, but Richter always seems to have one hand on those heartstrings, ready to tug mercilessly at a moment's notice. Sublime.